The New York Times bestseller 'Brimming with life-changing insights' Susan Cain, author of Quiet 'Excellent' Financial Times Everybody knows that hard work, luck and talent each plays a role in our working lives. In his landmark book, Adam Grant illuminates the importance of a fourth, increasingly critical factor - that the best way to get to the top is to focus on bringing others with you. 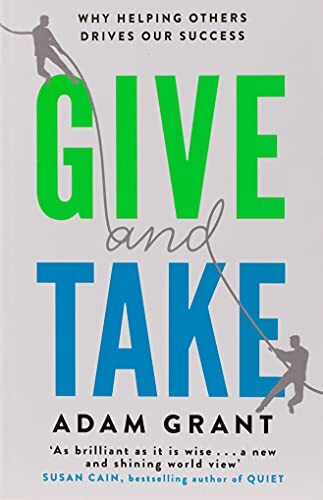 Give and Take changes our fundamental understanding of why we succeed, offering a new model for our relationships with colleagues, clients and competitors. Using his own cutting-edge research as a professor at Wharton Business School, as well as success stories from Hollywood to history, Grant shows that nice guys need not finish last. He demonstrates how smart givers avoid becoming doormats, and why this kind of success has the power to transform not just individuals and groups, but entire organisations and communities.